As the OS to end all Windows OS migrations, Windows 10 is already having a substantial impact on app development. When Microsoft first introduced Windows 10, they stated that their ambition was to have the OS used by 1 billion users. While its release is still in its relatively early days, the rate of adoption is remarkable, running on over 270 million active devices. 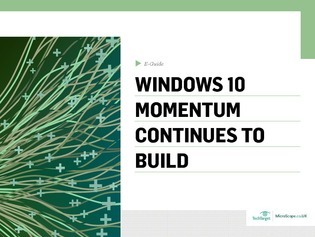 In this expert e-guide, we examine how Windows 10 is growing as a highly productive development environment. Find out how the OS is generating new opportunities for developers and how it’s impacting Microsoft’s future in cloud, mobile, and more.